The simplest way to protect your floors from scratches or damage caused by scratchy rough chair legs. These glider protectors can be installed in two ways: either peel off the adhesive back and stick the protector right onto the feet or legs of chairs and furniture, or screw them structure directly into the foot for maximum hold (screws included). 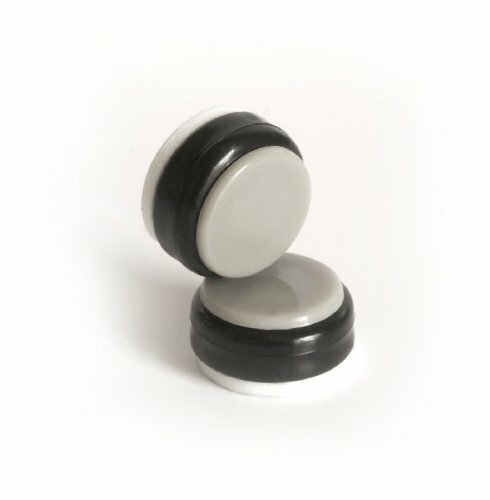 Perfect for chair legs or furniture with thin legs ¾” to 1” in diameter square or round. Provides a smooth easy super sliding experience on hard floor surfaces as well as carpeted surfaces. 16 sliders per set which will accommodate 4 chairs. 12 Pack - 1" Black Plastic Plug for Round Tubing, 1 inch OD End Cap Chair Glide Insert Finishing Plug.